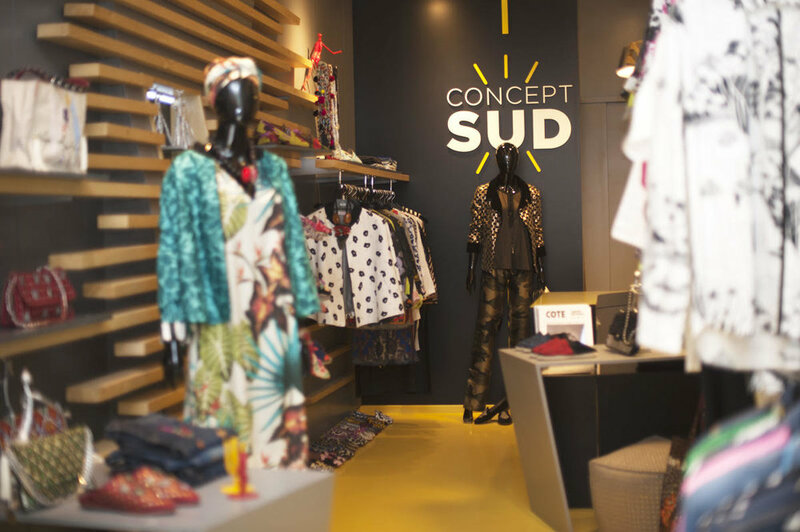 Situated in the heart of Geneva, concept SUD is a temporary home for unique creations. Always changing, our space is an invitation to discover talents from all around the world. Step in and you will be immersed into fascinating stories, colorful designs and a powerful creative energy. All our products are hand crafted and done in natural materials. Most of them often support cooperatives and associations to preserve techniques from the past. For this selection we mixed the softness of April with some metallic touches. We just received unique bags, flowery ballerinas from Topolina and statement watches. Each piece is unique. Come visit us or check out our latest news. Sign up with your email address to receive our latest news about events, designers and exclusive offers. We respect your privacy. No spam, only good vibes!